Agoda (www.agoda.com) part of Priceline.com (Nasdaq: PCLN), is one of the fastest-growing online hotel platforms worldwide, listing more than 1,150,000+ hotels and accommodation in 200+ countries and providing services in 39 different languages. Agoda.com’s award-winning website is fast, easy to use, and employs world-class technology to offer instant confirmation for every one of our hundreds of thousands of listed hotels. 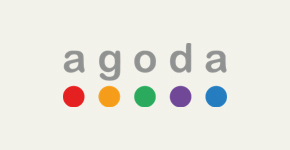 In addition to a wide selection of accommodation and room types, the millions of Agoda.com hotel reviews are 100 percent authentic, submitted by customers after they have completed their hotel stay. Finally, our 24/7 multilingual customer service & support means assistance is quick at hand when it really counts. Now you can earn up to 10,000 Royal Skies Miles when you book your accommodation on Agoda.com. For more information, please visit http://www.agoda.com/royalskies.